Stranger Things will make its long-awaited return this summer. Thanks to Nintendo, fans of the series can join Mike Wheeler and friends on their latest exploits in 8-bit form. Variety brings word that BonusXP is putting the finishing touches on a video game based on the show’s impending third season. 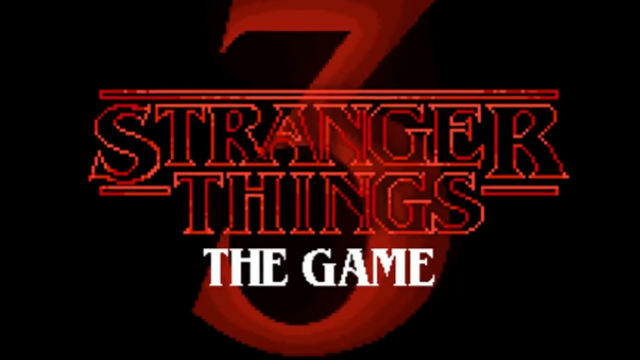 Stranger Things 3: The Game is exclusive to the Nintendo Switch and will be released on July 4, the same day the new season drops on Netflix. The game follows the storyline of the show’s upcoming season to the letter. And since Netflix is keeping the plot of the new episodes under wraps, the developers had to create an entirely new level when screening the game for the press. According to its director, Dave Pottinger, BonusXP sought input from creators Matt and Ross Duffer when crafting the game’s script. Pottinger also revealed that the developers looked to ‘80s arcade staples like Streets of Rage and Contra for design inspiration. BonusXP previously developed Stranger Things: The Game, another 8-bit adventure. That game was playable on mobile devices between the show’s first and second seasons. It allowed players to control most of the series’ main characters and gave each one a unique weapon or ability. For example, Lucas could use his trademark slingshot and Dustin could plant pudding cups to distract enemies. Stranger Things 3 looks like it’s following a similar model. A brief gameplay trailer features 8-bit renderings of Joyce Byers and Jim Hopper using distinctive attacks to fend off a legion of bad guys. You can watch Stranger Things 3’s gameplay trailer below. Will you be picking up a copy of the game when it hits stores? Let us know in the comment section!